My experience in working with Ed Neir Construction, first and foremost, is that Ed gave me an excellent bid that was completely on target. And, I feel that it’s very important to note, he did not go over budget. This was a rather unique, whole house repair and remodeling project (literally, from top to bottom) that had to be accomplished long distance (I reside in Southern Oregon and the townhouse was located in San Jose, California). Ed did a great job of keeping me fully informed and updated, even going so far as to send me plenty of detailed pictures of every aspect of the project, along with all of his regular email communications and text updates. Based on our various discussions, my preferences and his recommendations, Ed was able to pick things out for me that resulted in a terrific final outcome and the quick sale of my Dad’s townhome which sold for well over the asking price. He also did such a great job of being well coordinated with all the various vendors (such as the termite company) and the other parties involved, that this culminated into being a great experience for me of working with a general contractor, despite being long distance. What I especially appreciated is the information and advice that Ed provided regarding the kitchen remodel. 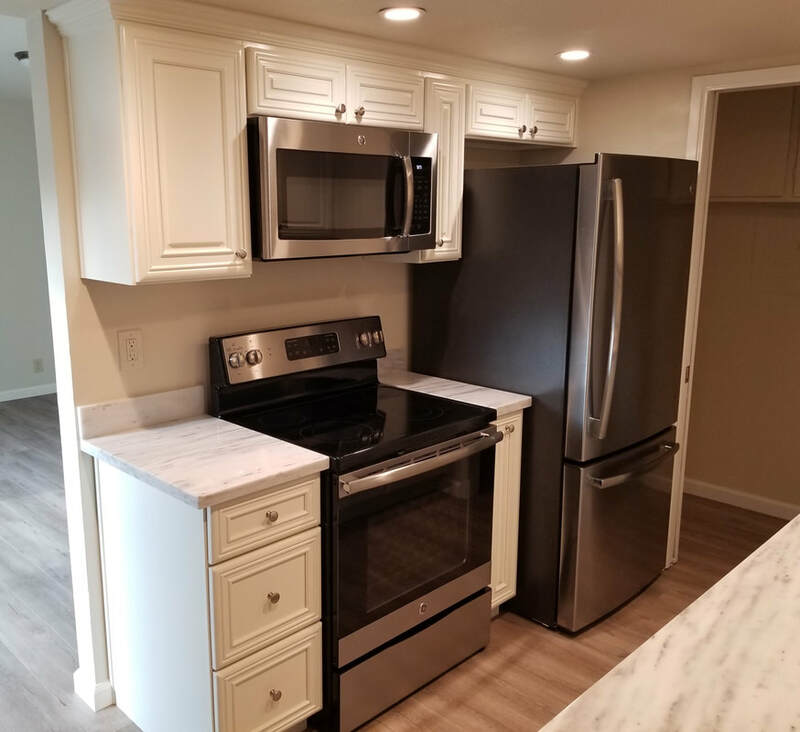 He remodeled the kitchen in such a way that it would appeal to the broadest purchasing audience, wisely advising me on what would make the greatest difference in terms of investment, value-add and customer appeal. Overall, I would say that my experience in working with Ed Neir Construction was excellent and I strongly recommend him and his services!